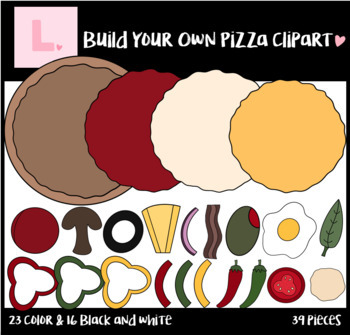 I am offering this Build Your Own Pizza clipart set, which has super cute pizza toppings to make a yummy and delicious pie! 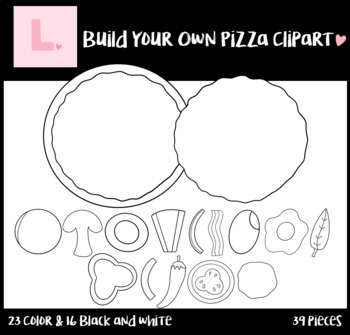 Great for fractions or anything you'd like! This is a 34-piece set in BOTH, B&W and Color!! !